Healing Pre natal Trauma, Healing Birth Wounds. Do you sometimes feel overwhelmed with the same old story, your life stressed and unfulfilling, or suffer from vague anxieties, stuck patterns, life repeating itself in a negative spiral? Past traumatic experiences can be fermenting beneath the level of your conscious mind that you have no idea of, yet may have arisen from your earliest times in your physical body. It is hard to believe until you experience it, that you may have had experiences in the womb or even at the time of conception and yet even earlier that shaped your sense of who you are and what the world is ‘like’. These early formative experiences can undermine your health, well being and even your feelings of adequacy and prosperity. Unresolved pre and peri-natal experiences shape our whole belief system and sense of identity. They can be changed once made conscious, into life affirming and positively supporting belief systems. You were once very vulnerable when growing as a very tiny embryo. It truly was a matter of life and death. However, now you are strong and adult and can review and reshape that traumatic experience, freeing yourself from the restrictive patterns. Are you ready and willing to do this? 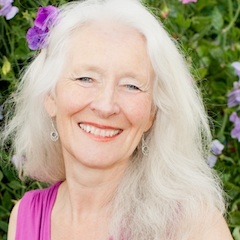 Our last ‘Healing Birth Wounds’ Workshop can be reviewed in this testimonial by Dr. Estelle Gillingham, one of the attendees who is also a Forensic Energy Healer at Healing Waters Sanctuary. Here is another testimonial from Patsy Steele, a Kundalini Yoga Teacher. Witnessing other members of the group access the energy patterns that their bodies were carrying from traumatic events at various stages from preconception to birth gave me a new perspective on the old hurts and resentments I had been carrying for a long time. I realized that much of what hurt me before I was even one day old, had resulted from events that were either totally beyond my parents’ control, or beyond their ability to cope with successfully because of their own difficult experiences. I experienced a deep level of healing which was totally unexpected but totally relevant to the blocks that I faced with the birth of my son. It helped me to understand that there are many levels/layers to the healing of trauma in the body. Deeply holistic and feminine work. The facilitation was excellent and I deeply appreciated your openess to allowing us to bring in our holding and way of connectivity to make it a truly holding and loving circle. This 2 day workshop is held compassionately and in complete confidentiality and safety and is brought to you by 2 of the most supportive and loving souls working in the field of pre and peri natal trauma process work. We like to give lots of space and support, pacing the work slowly and consciously, giving each person time to feel safe and to integrate their experiences. The Process Group is run over two days with a maximum of 6 people. There are two loving souls to facilitate the exploration and re-patterning of the traumatic experiences. Each participant will have a sacredly held space for their own exploration. They will be ‘held’ both by the facilitators and the other members of the group. This combination ensures the maximum group consciousness to unravel and transform the experience. Each person present will hold the person whose time it is, with deepest empathy and respect for all that they have been through in the journey of becoming a human being on planet earth. The Process begins when the person whose turn it is begins to tune into, listen, feel and sense, subtle sensations in their bodies, sounds, memories, emotions, and feeling tones. This is listening and experiencing at the level of the soul that exists in the NOW where all time and space is merged into one continuous point of presence. It is accessing a deeper state of consciousness where there is information of what it is important to be conscious of and what is needed to heal. Your two facilitators for this special weekend are Julia Duthie and Juliet Yelverton. They are wise women and have, each of them, many years of experience in supporting and healing people and helping them to birth a new authentic self. “I have worked as a midwife since 1980, initially in rural birth centres, then as a community midwife and later as an independent midwife. 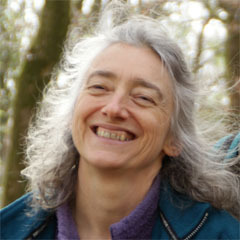 I began my journey into birth healing after the birth of my eldest daughter in 1981. I have trained with many who share my passion for birth and the healing of birth and embodiment wounds. I have also trained in Biodynamic Craniosacral Therapy with Franklyn Sills and attended Mike Boxhall’s advanced craniosacral courses in The Embodiment of Spirit. This pioneering approach to trauma understands how it is important to heal the nervous system through the body. We are dealing here with the bod/ymind. Trauma leaves an intense package of condensed energy locked into the body and somatic experiencing allows this energy to be gently and safely released so that the brain can build new neural pathways. Accessing and experiencing our bodily sensation we become whole again. 9.30 (for 10 am start) – 6pm. The price for this priceless weekend is £275. There is an early bird fee of £250 if booked and paid in full by the 5th November 2015. The workshop price includes a lunch both days; homemade nourishing food, made with love. Also a very special and dedicated sacred environment, imbued with powerful healing energies.